BOSTON -- Sen. Elizabeth Warren is calling an email hack of the Democratic National Committee an embarrassment for the party and the country. "What happened over the Democratic national party should not have happened," Warren said during an interview aired Sunday on WCVB-TV. The Massachusetts Democrat also said she doesn't understand why Hillary Clinton has given former party chairwoman Debbie Wasserman Schultz a role in her campaign. Schultz and other top party officials resigned after emails exposed an apparent lack of neutrality in the presidential primary race between Clinton and Bernie Sanders on the eve of the party's convention. Clinton, the party's nominee, has said Wasserman Schultz will serve as honorary chair of her campaign's 50-state program to help elect Democrats. Warren expressed confidence in longtime Democratic operative Donna Brazile, who is serving as the party's interim chair, calling her "a woman of real integrity and strength." "She's not going to be pushed around in that job," Warren said. "I think she's going to evaluate what we need at the Democratic Party and I'm grateful for that. We need some to get in there and clean house." 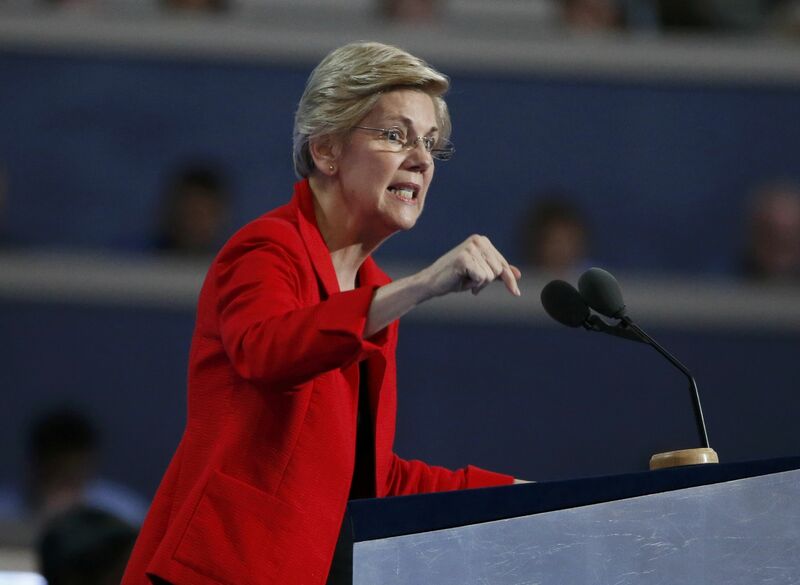 Warren also kept up her drumbeat of criticism aimed at Donald Trump, saying she was mystified by the Republican presidential nominee's comments after a supporter gave him a Purple Heart at a rally in northern Virginia. Trump, who never served in the military, said it was "an honor" to receive the medal, which is given to soldiers wounded in combat. Warren, whose three brothers served in the military, said she doesn't think Trump understands what the medal means to families. She said it's the latest in a series of statements that proves he shouldn't occupy the White House. "He just stands up every single day and says, 'What new way could I prove that I am unfit to be president of the United States? Let me dare the American people to support me in this election,'" said Warren, who has had several Twitter battles with Trump in recent months. Warren also faulted Republicans for not acting to appropriate money to help slow the spread of Zika in the United States. She also said that although she was not picked as Clinton's running mate, she's excited about helping the former secretary of state win in November. "I want to help make sure she gets elected instead of Donald Trump," Warren said. "I want to help make her a successful president particularly because she's running on very progressive agenda."